Pre-scheduled preventative maintenance on packaging equipment helps eliminate downtime and keeps your machines running at optimal performance over the long term. As a CrownCare customer your service needs become our priority. CrownCare helps increase your productivity, ensuring the cost savings and ongoing value you need for your long term success. When you need additional service that goes beyond the scope of preventive maintenance, as a CrownCare customer you qualify for our lowest hourly rates. At Atlantic Packaging, we are committed to maximizing the life of your packaging equipment and to ensuring that you receive the savings and value you expect. 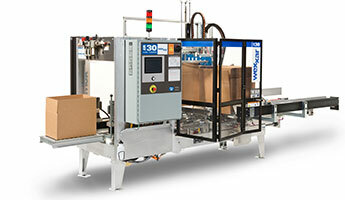 When you purchase our automatic or semi-automatic packaging equipment and use Atlantic performance materials, we provide a customized service program we call CrownCare. Contact your Atlantic sales person directly to get more details and to learn more about CrownCare. CrownCare customers are our VIP customers! You will receive a number of Technical Service visits throughout the year at no charge. CrownCare Agreements can be for periods of 1 to 3 years and can be renewed as long as you are an Atlantic customer. To ensure safe and peak performance it’s important that your equipment is installed and commissioned properly and your operators and maintenance personnel must be well trained. Your machine will be calibrated and criteria will be established for best performance and lowest cost using the materials best suited to your application. Your CrownCare program will be customized for you—taking into account your level of automation, your line speeds, and your desired frequency for preventive maintenance. Learn More about our Technical Service. As a CrownCare customer you qualify for our lowest hourly rates when you need additional service that goes beyond the scope of standard preventive maintenance. Contact your Atlantic sales person directly to get more details and to learn more about CrownCare.